Electric garage doors have a special meaning to people but also to us. 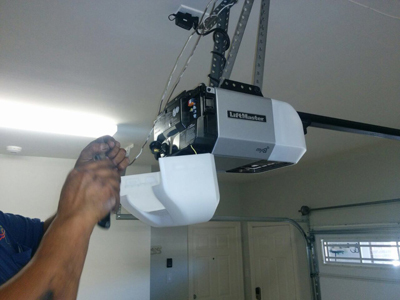 We're in the business of garage door repair for years and love our job to the point that we care about each client's garage system as if it ours. We take amazing care of each rollup or overhead door, are specialists in electric operators and have the capacity to replace components and doors perfectly. We're aces in the maintenance of openers and troubleshoot the system as fast as possible when problems pop. We like to keep our customers safe and that's exactly what we do through our routine and repair services. Residents and business owners of Framingham alike are bound to experience issues with their garage doors openers at one time or another, and Garage Doors Repair Framingham is available 7 days a week. which include chain drive, belt drive, and screw drive, Garage Doors Repair Framingham employs experienced technicians that are well versed in the major opener brands. These include Chamberlain, Genie, Marantec, Liftmaster, Craftsman and Sears. Problems that arise with garage doors openers include broken springs, worn out drives, snapped cables, and warping. Regular maintenance and lubrication of your garage doors can prevent these problems before they occur, so it’s best to call in a professional annually to inspect and make minor repairs to your garage doors. In the event that your garage door is damaged, Garage Doors Repair Framingham can replace it quickly with emergency service. Simply choose the garage door of your choice and you will receive quality professional installation as soon as the materials become available.